"The Act" is now streaming on Hulu. 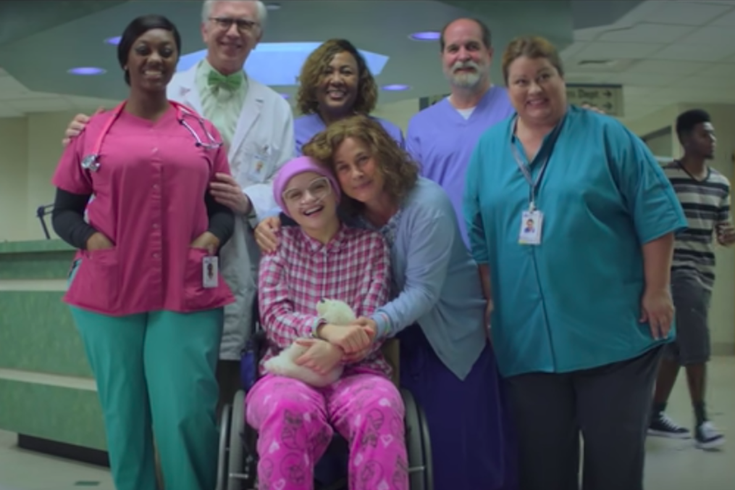 “The Act,” a Hulu original series, made a splash this week when it began streaming. The show, based on a Buzzfeed report, details the true story of how a mother, Dee Dee, forced her daughter, Gypsy, to seek treatment and take medications to treat nonexistent conditions, like muscular dystrophy. Eventually, Gypsy learned about the years of lies of her mother, who Gypsy killed with her boyfriend's assistance to escape the abuse. The devastating medical procedures endured by Gypsy included surgery to treat supposedly weak eye muscles; removal of her salivary glands to eliminate drooling; and tooth extractions, according to Men’s Health. Dee Dee's behavior can be attributed to a syndrome commonly called Munchausen by proxy, though the medical name has been changed to "Factitious disorder imposed on another." Factitious disorder imposed on another (FDIA), formerly Munchausen syndrome by proxy (MSP), is a mental illness in which a person acts as if an individual he or she is caring for has a physical or mental illness when the person is not really sick. A person also can inflict Munchausen on themselves, according to WebMD, which says, "Munchausen syndrome is considered a mental illness because it is associated with severe emotional difficulties." Women’s Health reports that FDIA is typically seen in mothers, driven by a desire to get the attention given to families dealing with severe illnesses. It’s hard to know how common it is since it often goes unnoticed, but estimates suggest about 1,000 of the 2.5 million child abuse cases reported each year are caused by FDIA. Experts have been unable to pinpoint what brings on an episode of FDIA, but it’s thought that aggravating factors may include a history of abuse, loss of a parent at an early age, or major life stress, according to Cleveland Clinic. Someone with FDIA often displays some of the following characteristics, according to Cleveland Clinic: they seem rather concerned about their child or the patient: they’re courteous and cooperative with medical personnel, and there might be signs of factitious disorder imposed on self — they seem to be faking their own illness. But Dr. Marc Feldman, an author and international expert on medical deception, explained to New York Magazine that while “The Act” accurately portrays Munchausen by proxy, he feels it important to note that "this might be the most extreme case in history." “If anyone looks at 'The Act' and thinks that’s a typical Munchausen by proxy case, one culminating in murder, they’re going to be a bit misled,” Feldman he told the magazine. While Munchausen is the focus of a palatable, yet creepy, show, it’s important to keep in mind that it is a serious form of child abuse and actually happens in real life, too.